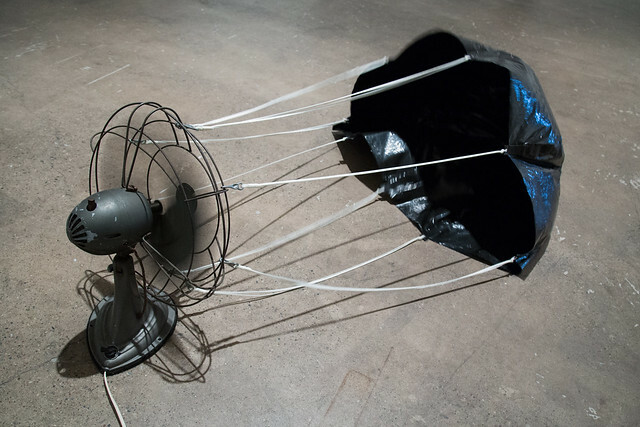 The handmade parachute is tied to an oscillating fan so that when air blows into the parachute’s direction it inflates. 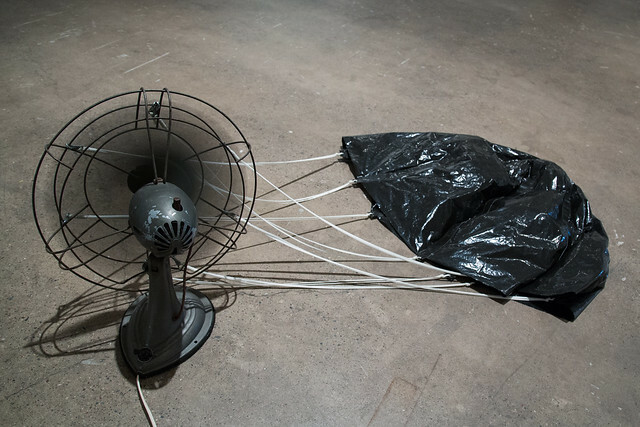 When the fan moves away, the parachute returns to a resting position. Approximately 8’ x 8’ installation. 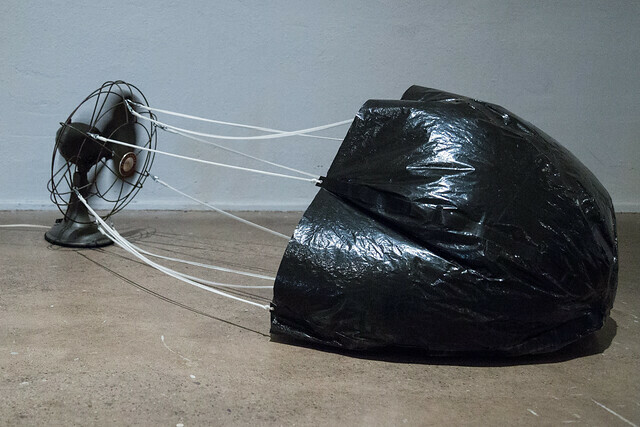 Fan, plastic sheeting, duct tape, grommets, nylon paraline.